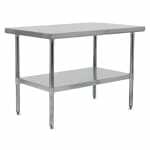 The John Boos FBLG7230 work table is designed to hold prep equipment, toasters, food warmers, and more. Its top is sound deadened to reduce the amount of noise produced, and it is also TIG welded for strength. These welded areas are polished to create a smooth transition. The front and rear have stallion edges to eliminate sharpness and reduce injury. Its sides have a 90-degree turn down to sit flush against other tables and equipment. The John Boos FBLG7230 work table has a reinforced channel that runs the length to prevent the top from warping. Overall dimensions: 72 in. L x 30 in. W x 341⁄2 in. 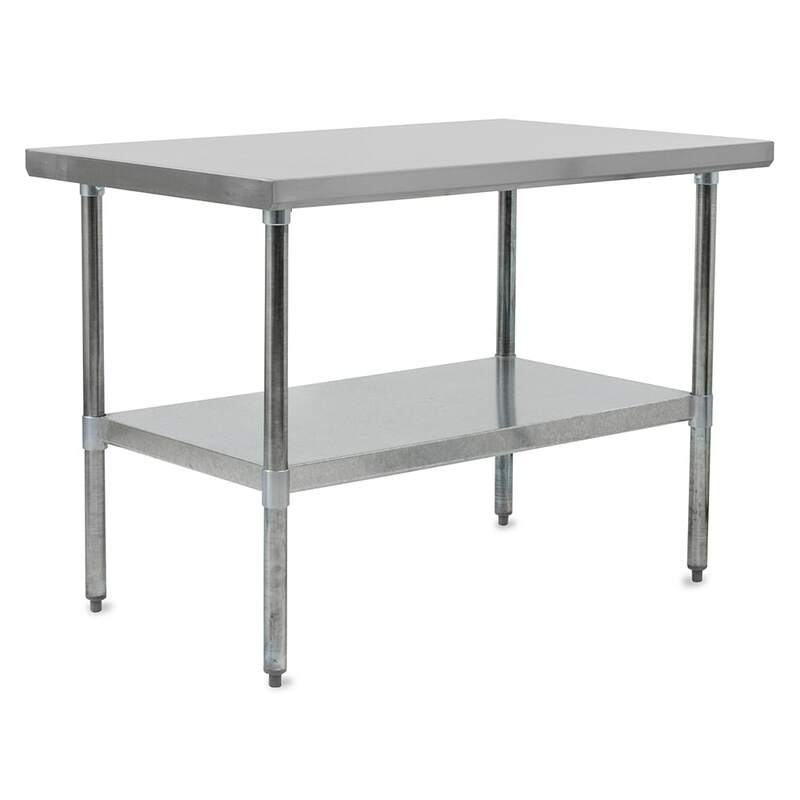 Check out our work table buyers' guide to learn more about commercial work tables.